So far we’ve seen the great room (staging sources here), the dining room (staging sources here), the jack ‘n jill bathroom, the laundry room and the master bedroom (staging sources here) – so of course it’s time for the master bathroom!! 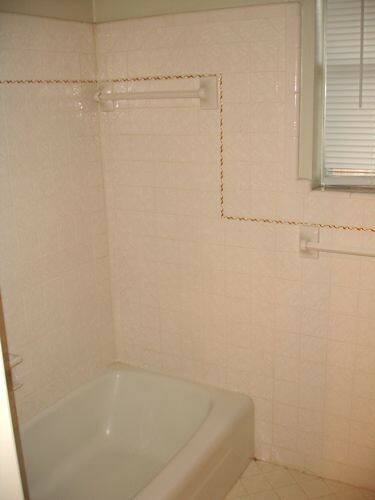 When we bought the house we could tell that the master bathroom had lots of potential since it was pretty large, but the layout was terrible and incredibly choppy. The space was split into 6 rooms!! 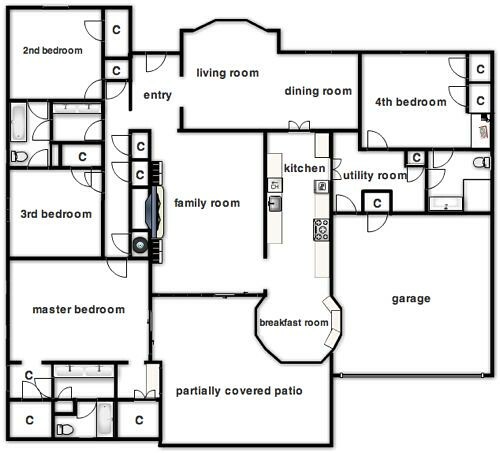 You can see the original layout of the master bathroom in the floor plan below – 3 closets, a “wet room” with the shower/tub and toilet, a room with the sinks, and another room with a makeup vanity. Talk about choppy! 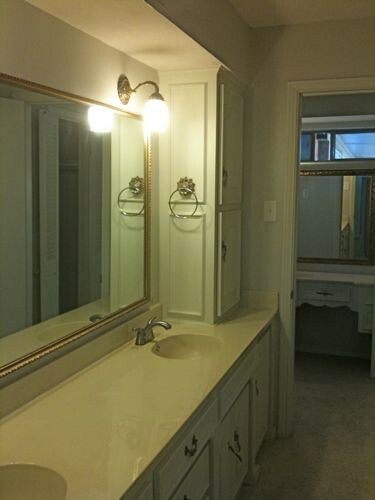 To take full advantage of the footprint of the master bathroom, all of the walls had to come out (except the shell of the 2 connected closets, which were combined into 1). 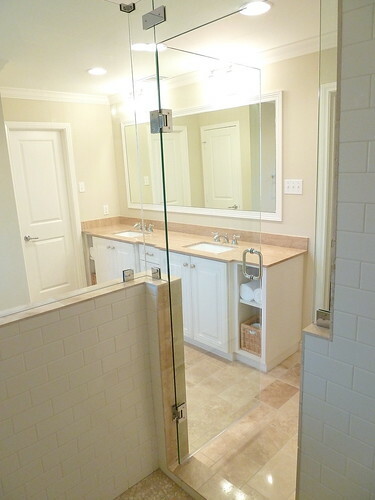 The makeup vanity turned into another closet, and the original third closet turned into a huge walk-in shower! (See how we came up with the new layout here). Take a look for yourself at how it all turned out. After the great room, I’m most envious of this bathroom (in particular the jetted tub). What are your favorite features? Me too! 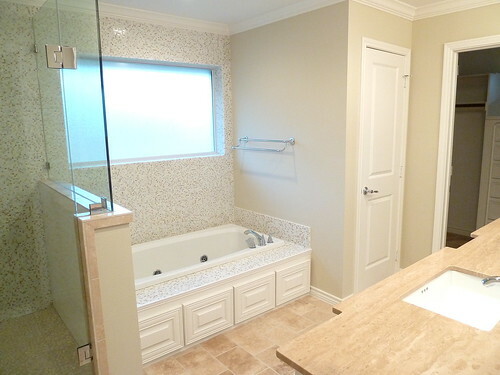 We don’t have a tub in our current master bathroom and at the time we were renovating I couldn’t imagine wanting one. Fast forward 2 years and I would kill for one! 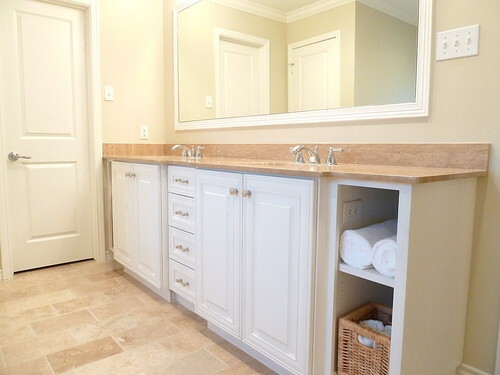 I love the way you tucked away that extra electrical outlet, out of sight but just where it’s needed! I love it. What I love about is it’s neutral-ness (not a word, but it should be). This isn’t a bathroom I would design for myself because I think it’s a little too neutral for me personally, but it is beautiful and totally inoffensive and that’s perfect for resale. 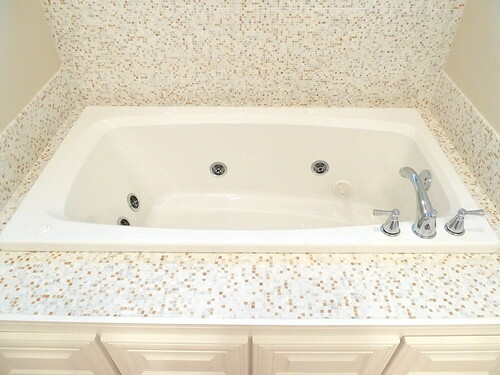 I am really liking the tub deck because I’m thinking about doing a mosiac tile counter in the downstairs bathroom and that gives me an idea of how that would look. Erin´s last blog post post ..They do exist- they really do! Thanks, Christy!! :) I’m with you on the recesses – they’re a must! fabulous. my favorite part is definitely the glass and marble mosaic. stunning! I love the floor tile. It’s so warm and inviting. BEAUTIFUL! I would kill to live in one of your flips! 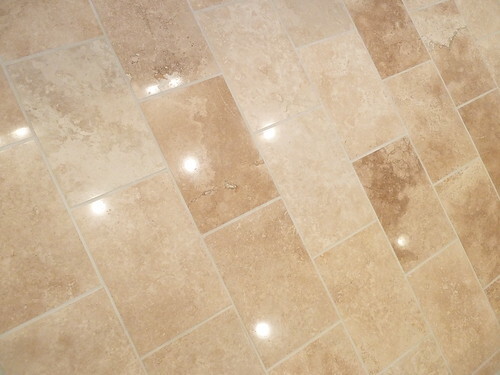 I’m still partial to the floor tile. 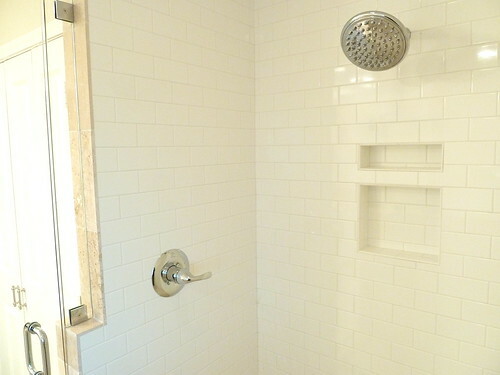 And that walk-in shower looks delightful. The shower, oh the shower! It’s so spacious and beautiful! I would LOVE a shower like that! Beautiful job! I’m obsessed with that tile. 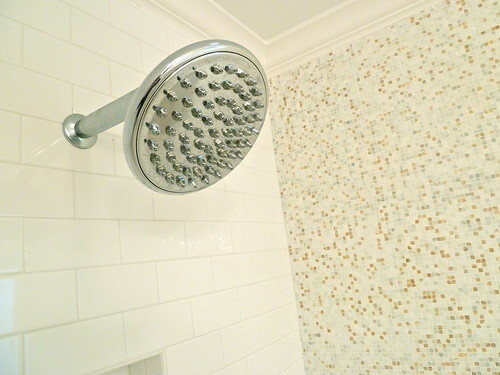 You are a tile MASTER, the small mosaic tile is perfection. What a showstopper. 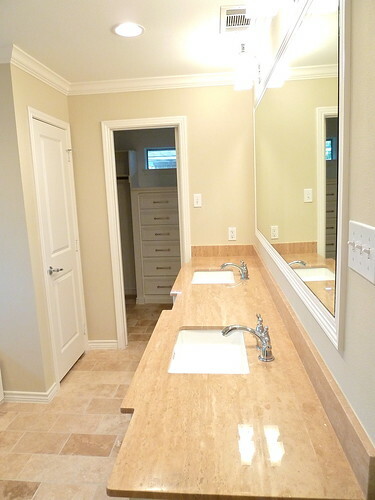 Nice wash basin, beautiful wall colors and good design. oh wow. I want this bathroom. My current bathroom is about the size of that shower. :) it’s really beautiful Liz. wow it looks great! 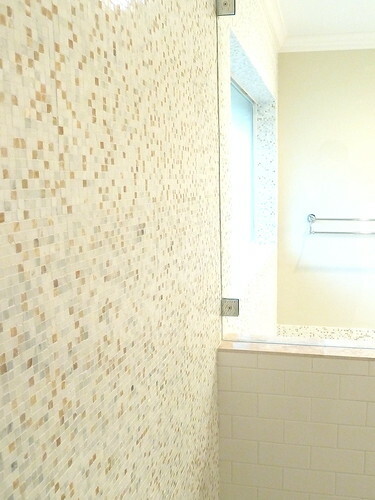 I’m loving the mosaic tiles and the niches for shampoos! lisaroy´s last blog post post .. happy weekend! 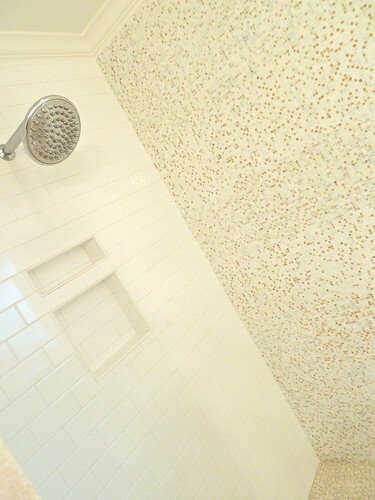 I love it; especially the tile! The entire house is just gorgeous. I’m in love with the kitchen/great room. The staging is perfect. Would you mind sharing your paint colors for the walls and the kitchen cabinets? You did an amazing job! Really gorgeous Liz. 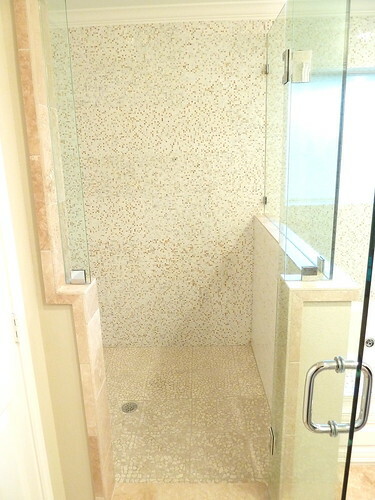 Love the mix of materials you used in the shower, floor, counters, etc. Honestly, you’re getting SO good at this. Great idea to knock down some of the walls and take advantage of the space. 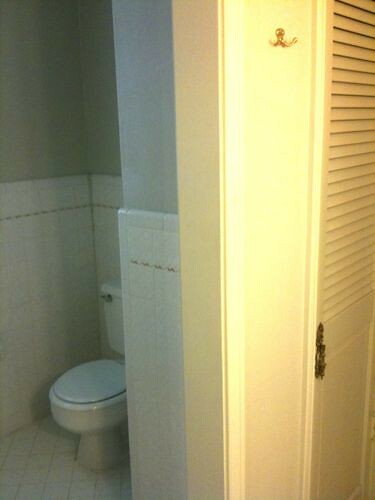 An awkward layout is just a waste of potential. 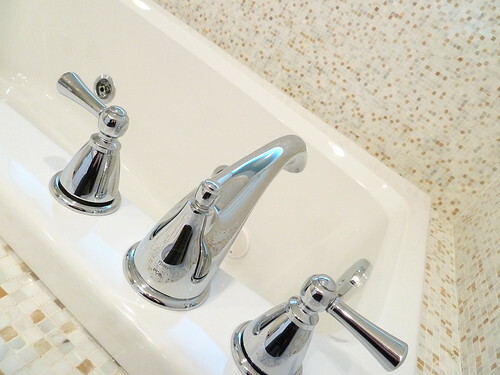 It looks very luxurious and inviting, great bonuses for the master bathroom!